Today, players finally have got a new Battlefield 3 DLC. 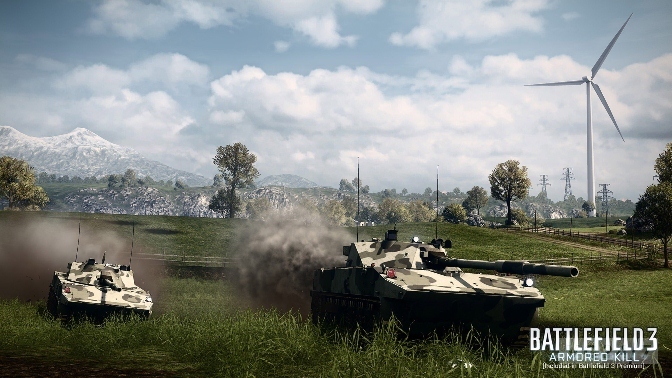 The developers have already released a new Armored Kill trailer. As already reported earlier, DLC added several different types of vehicles and maps designed for fighting with new machines. We also have seen new and recycled weapons. According to the chief designer of DICE, Niklas Fegres, despite the fact that Battlefield 4 has been already announced for the next year, there’s nothing to be afraid for the players of Battlefield 3. In December and March would be released 2 major updates, and further DLC development will depend on the number of interested gamers.